Yeah, that’s right. There’s racing going on in Hell, Norway this weekend, with the fifth round of the 2018 FIA World Rallycross Championship. With the four worst rounds being deducted from your total score, you can still win our Fantasy Game overall by entering the rest of the rounds! At Silverstone last time, Johan Kristoffersson were untouchable on Sunday with two qualifying wins and winning the both the semifinal and the final. All of this included a spectacular crash with his teammate Petter Solberg in the semifinal, ending with a red flag and a restart. Andreas Bakkerud and Sebastien Loeb joined Kristoffersson on the podium, Loeb ending on the podium on each round so far this season! In our fantasy game it was as always very close, with myself edging out on the win ahead of GiuRX and the debutant Punkgoose. GiuRX now leads by 12 points, but there is still a long way to go. Hell, Norway is located in the middle part of Norway, and has been on the WorldRX calendar since the start in 2014. 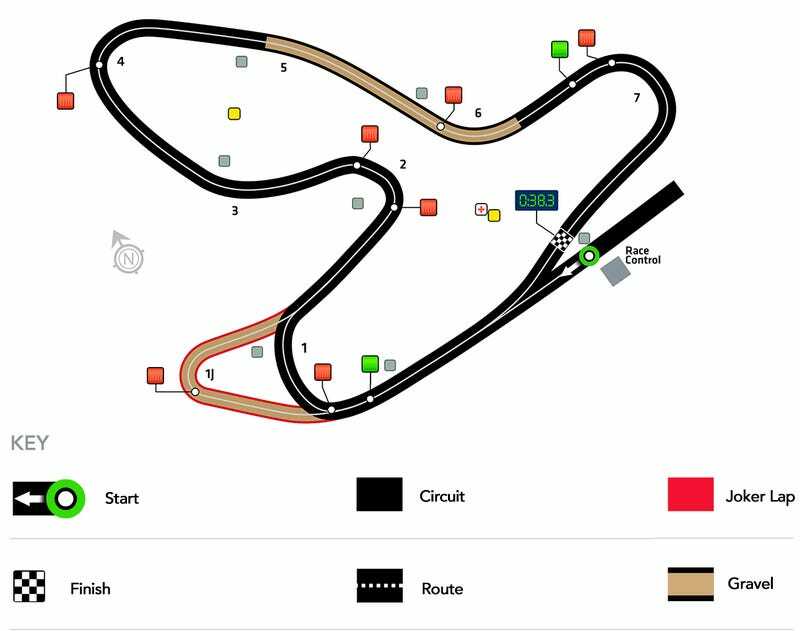 It is a purpose built old school threedimensional rallycross track with huge curbs and hard barriers. The joker lap already comes in the first corner similar to Montalegre, but is trickier with lots of loose gravel. A track that suits an aggressive, but effective driving style, evident by the previous results from Andreas Bakkerud, Timmy Hansen, Sebastien Loeb and Timur Timerzyanov on this track. Hell once again sees a large entry, similar to Silverstone. Marklund Motorsport comes with Anton Marklund and Tommy Rustad, both contenders for the semifinals here. Finnish driver Joni-Pekka Rajala joins STARD for the weekend, probably the best car he has ever driven in a WorldRX round. The biggest news is perhaps the entry of Alex Wurz, the former F1 and LeMans driver, with MJP Racing. He follows in the footsteps of his father Franz, who won the European Rallycross Championship three times. EuroRX regular Kjetil Larsen also shows up in his VW Polo, and may surprise us here. As we saw with Rustad at Silverstone, it is still possible as a wildcard privateer entry to challenge the regulars.